Having incredible hair for your wedding is a must and having hair extensions to give you that look will cost less than your wedding dress and will last long past your honeymoon. No wedding day would be complete without having the hair of your dreams and many brides find that they haven’t got the thickness and often the length they want to complete their look for the big day. Having extensions to enhance your thickness will mean that your hair will look how you have always wanted it to and not only that, it will hold the style you choose for much longer. You will no longer be held back by the limitations of your existing hair style, instead you can have your dream hair, whatever that may be, Bring in a picture of how you would like your hair to look on your wedding day and we can re-create this for you with professionally applied hair extensions. With prom season just around the corner, it’s more than likely that you already have your date and your dress either in mind or locked down. With two of the most important elements of your prom ticked off the list that leaves last but by no means least the all important hair…. Prom hair is all about creating a magical transformation. The big dance is the perfect place to wow your friends with some extra glitz and glamour. 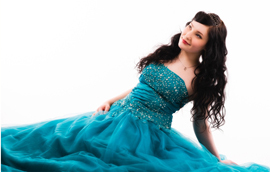 Prom hair extensions are an ultra fashionable way to take your look from school casual to Cinderella with a simple visit to your favourite extension specialist. Add incredible volume, amazing length, or even different colour tones to your hair and create the look you have always wanted.100% human prom hair extensions give you amazing versatility. Like your natural locks, you can use all heat appliances such as your coveted ceramic flat iron and blow dryer. Easily create the hairstyle of your dreams without worrying about styling limitations.